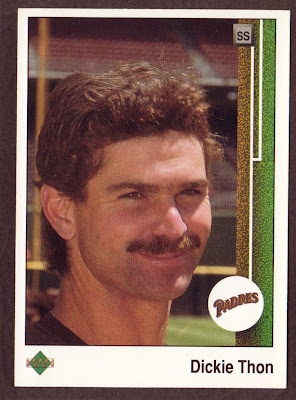 Richard McWilliam was a co-found of Upper Deck trading cards. Thanks to Richard McWilliam, I have about 10 copies of this card. I never opened a pack and found the elusive Ken Griffey Jr. rookie card, but I don’t hold that against you Richard. RIP Mr. McWilliam. This entry was posted in R.I.P. Steesh, Sports Steesh and tagged Baseball, baseball cards, Dickie Thon, ken griffey jr, ken griffey jr rookie card, reliving my childhood, Richard McWilliam, RIP, sports, upper deck, upper deck trading cards on January 7, 2013 by Johnny Gerkins. 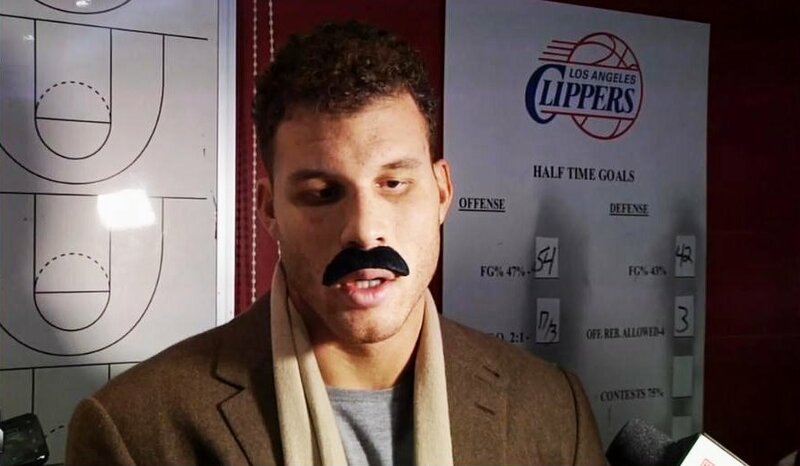 NBA basketball dunker Blake Griffin put on a fake mustache a week ago while answering inane questions like “Will you ever learn how to shoot a basketball?” and “Do you even practice shooting a basketball?” All I know is with that mustache, he’s an earring and and track suit away from becoming Sinbad. Are they remaking House Guest yet? This entry was posted in Evil Twin Steesh, Sports Steesh and tagged Blake Griffin, earring, Fake Mustache, Fausses Moustaches, Look-a-Like, mustache, Sinbad, Steesh, track suit on January 7, 2013 by Johnny Gerkins. Dan “The Beast” Severn retired this week after a long career in which he unneccessarily fought other gentlemen for prizes. Severn fought in 127 MMA fights on record. That’s right, he voluntarily got into a cage to fight another human being 127 times. And Severn fought before there were actual “rules” in place. The ESPN article says he fought in UFC 4…..3 times that night. This entry was posted in Sports Steesh and tagged Dan Severn, fighting other humans, MMA, Moustache, mustache, Steesh, The Beast, UFC on January 3, 2013 by Johnny Gerkins. *If you were to look up “scumbag” in the dictionary, you wouldn’t see George McCaskey’s picture because [a] the dictionary doesn’t have pictures and [b] I don’t think dictionaries are produced anymore. But for arguments sake let’s say the dictionary is still mass produced and does contain pictures, you still might not see George McCaskey’s picture. There’s been a lot of scumbags over time. I forget where I was going with this. Anyways, George Halas owned and coached the Chicago Bears football team, a perenial powerhouse. Since then, the generations of family members that followed have all been Fredo Correleone’s without a single Michael. George is another Fredo. In fact, he’s even growing a mustache like one. 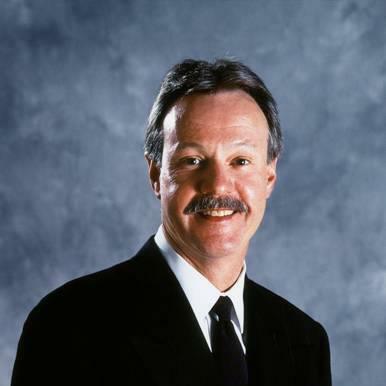 *I don’t know much about the Chicago Bears or George McCaskey. I got my information from people’s twitter feeds. That’s an acceptable source in 2013, right? This entry was posted in Burn in Hell Steesh, Creep Steesh, Die In Hell Steesh and tagged Chicago Bears, George McCaskey, he looks like somebody's pervert uncle, McCaskey McSucks, mustache, scumbags, Steesh on January 2, 2013 by Johnny Gerkins. Joe Southwick, quarterback for the Broncos of Boise State University, looks a little bit like Freddie Mercury. As ESPN points out, Joe recently grew a mustache and won the last 3 games of the season including today’s Vegas Bowl. Congrats, Joe! This entry was posted in Sports Steesh and tagged boise state, boise state university, broncos, freddie mercury, joe southwick, mustache, quarterback, southwick, sports, Steesh, the secret to any success is a mustache, vegas bowl on December 22, 2012 by Johnny Gerkins. Evil Twin Mustache: David Hasselhoff’s Knight Rider twin, Garthe Knight! If you couldn’t tell, that’s David Hasselhoff behind that clever mustache work on the hit(?) television show, “Knight Rider.” I haven’t seen much of the show to give any funny tidbits about The Hoff and his evil twin. All I do know is that Mr. Feeny is the voice of KITT and that’s all you really need to know as far as I’m concerned. This entry was posted in Evil Twin Steesh and tagged celebrities, David Hasselhoff, Garthe Knight, Germans love David Hasselhoff, Knight Rider, Michael Knight, mustache, Steesh, The Hoff, when evil twins ruled the world on December 20, 2012 by Johnny Gerkins. 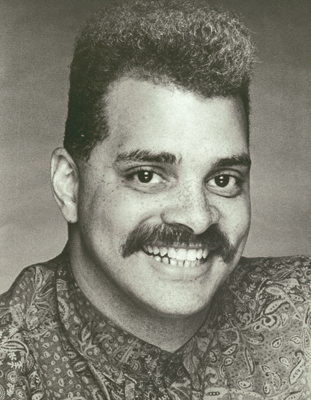 In the spirit of day time soap operas, we present the mustache of Zeev Katz, the evil twin of Raanan Katz. Raanan Katz has been all over the internets recently for suing Google (dodged a bullet, Bing) for an unflattering still of himself. When you’re rich and bored, you have the time to sue Google. We want to repeat, REPEAT, that the above picture is Zeev Katz, the evil twin of Raanan Katz. It’s NOT Raanan Katz. I’m trying to put my kid through college with the profits on the website. This entry was posted in Burn in Hell Steesh, Fluffy Pushbroom Steesh, What If They Grew A Steesh... and tagged google, Miami Heat, Raanan Katz, Score one for Alta Vista, this guy is really suing google, Zeev Katz on December 20, 2012 by Johnny Gerkins.